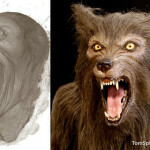 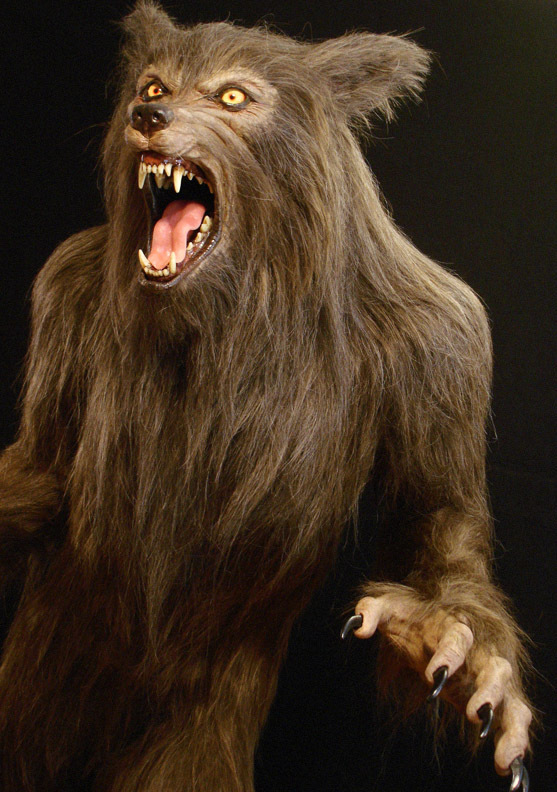 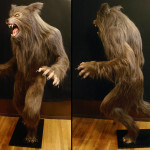 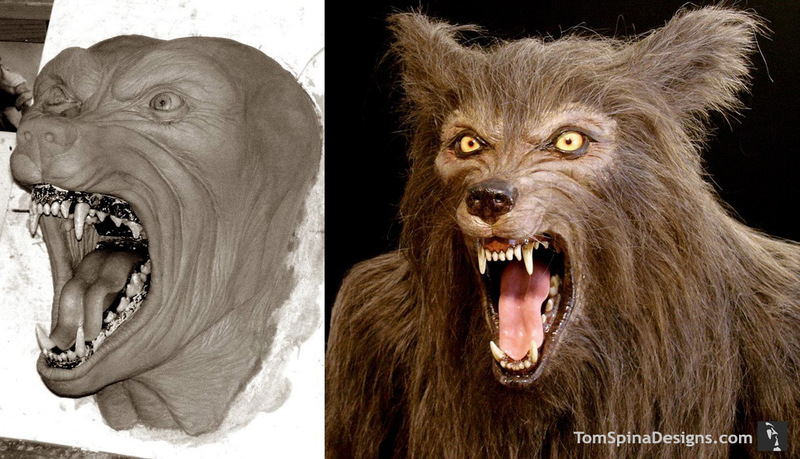 This original life sized werewolf statue stands over 6 feet tall was created by Tom Spina and Richard Riley. 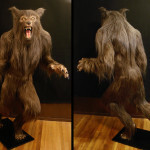 The body of our custom made life sized werewolf statue is made fiberglass. 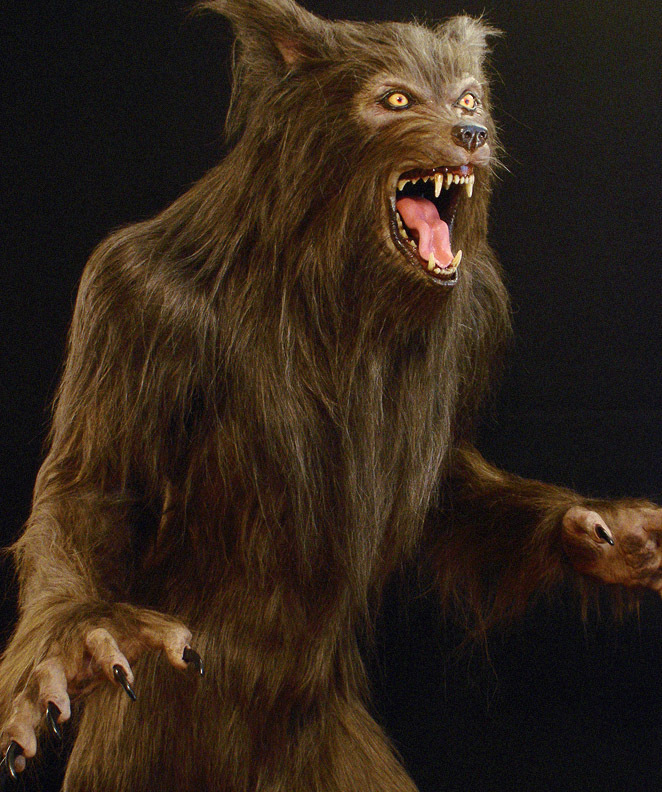 The Lucan style prop is posed as if he’s been surprised by someone… probably his next victim! 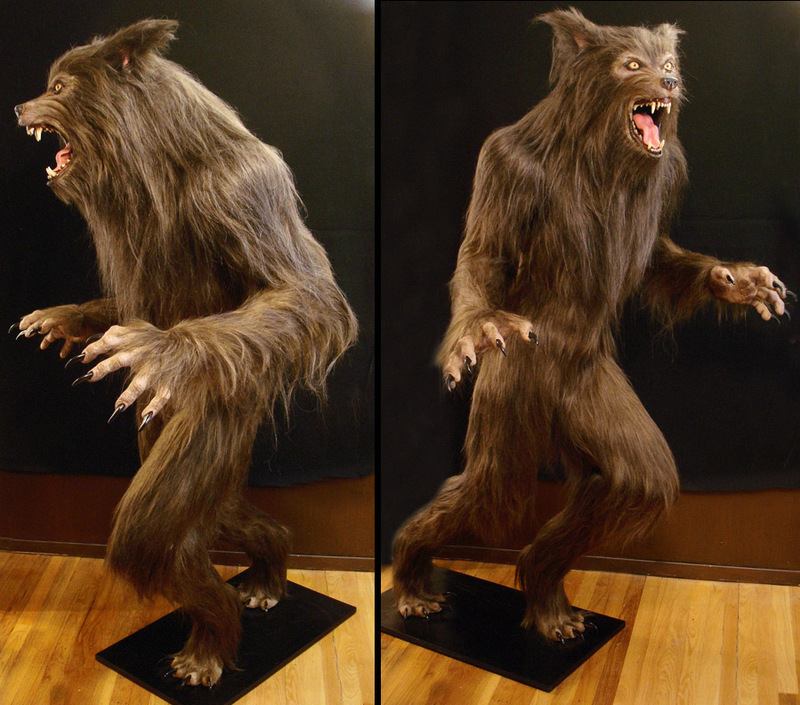 The statue features a latex werewolf head, feet and hands, all of which we sculpted, molded, cast and painted in movie prop style detail. 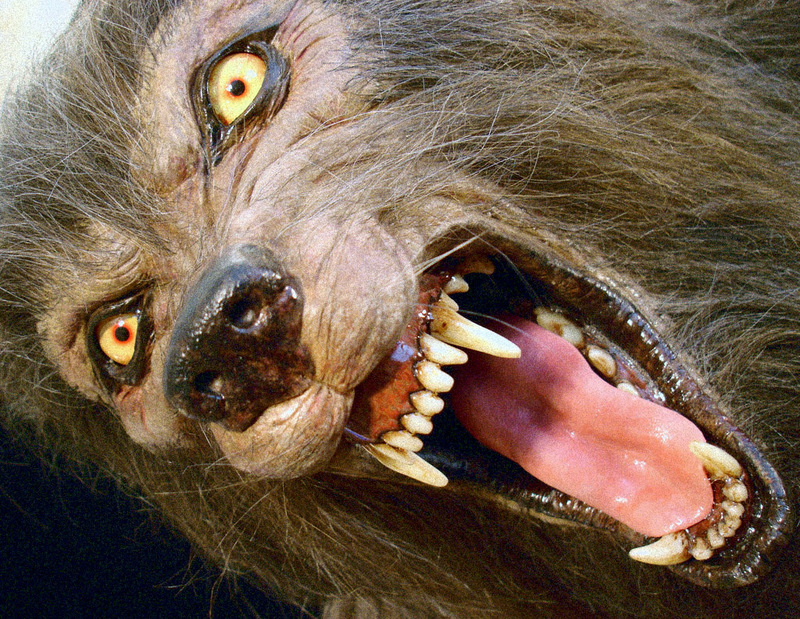 Custom glass eyes, and acrylic/resin nails and teeth give the beast touches of terrifying realism. 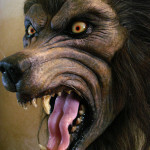 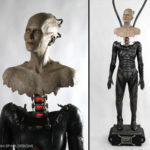 The custom sculpted head is loaded with realistic details like multi-layered paint and hand punched hair. 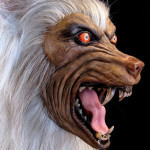 Everything from the gloss on the nose and teeth to the subtle paint job on the tongue bring this howling creature to life. 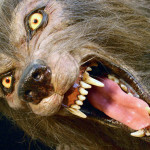 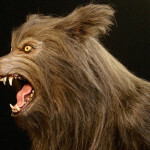 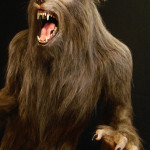 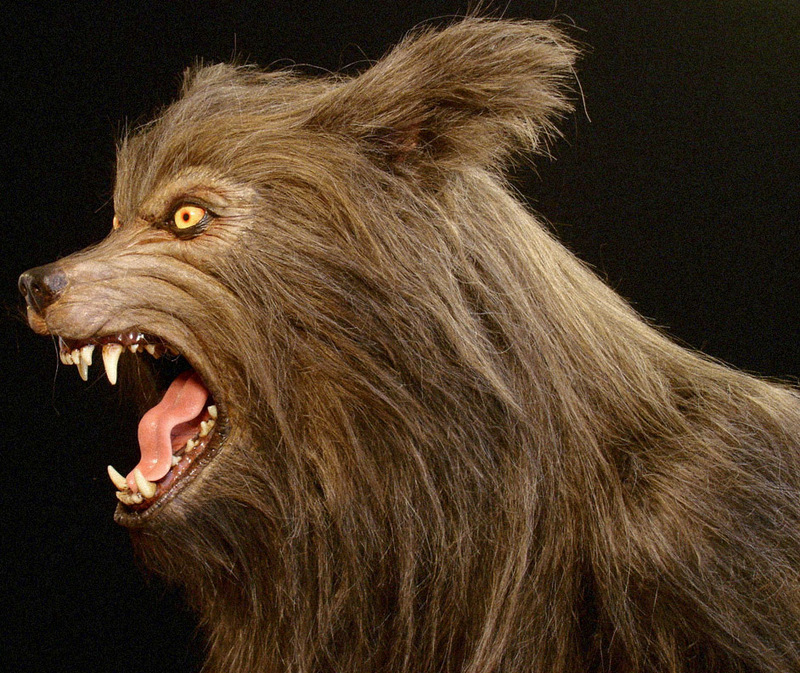 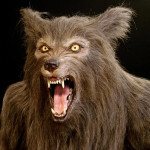 The mix of hand laid and individually punched hair is done in a two-tone look (darker, longer fur adorns his “mane” and a shorter, lighter fur covers the werewolf’s body) and the hair is all specially custom-run movie FX quality fabric-backed hair from our friends at National Fiber Technology. 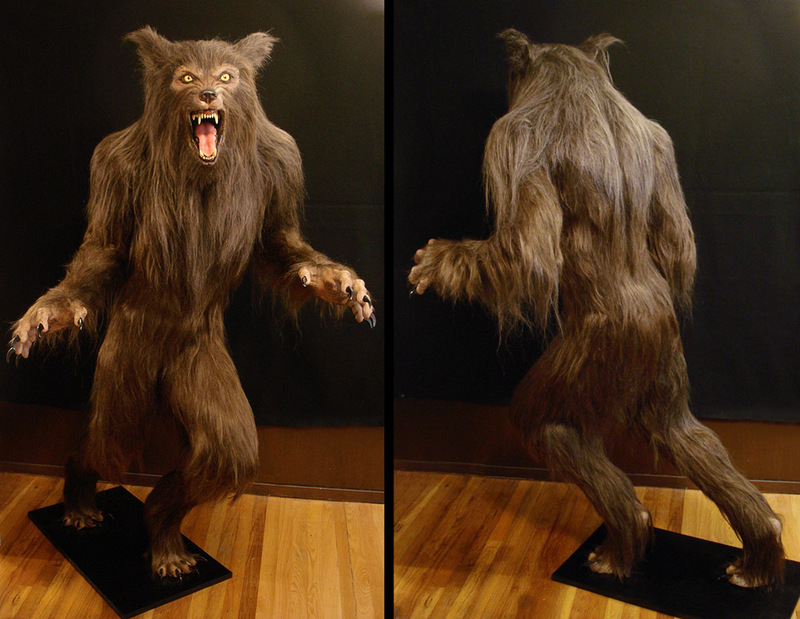 We’ve also made a bust version of this werewolf for sale, so if you’d like a full statue or just the werewolf head bust, just drop us a line! 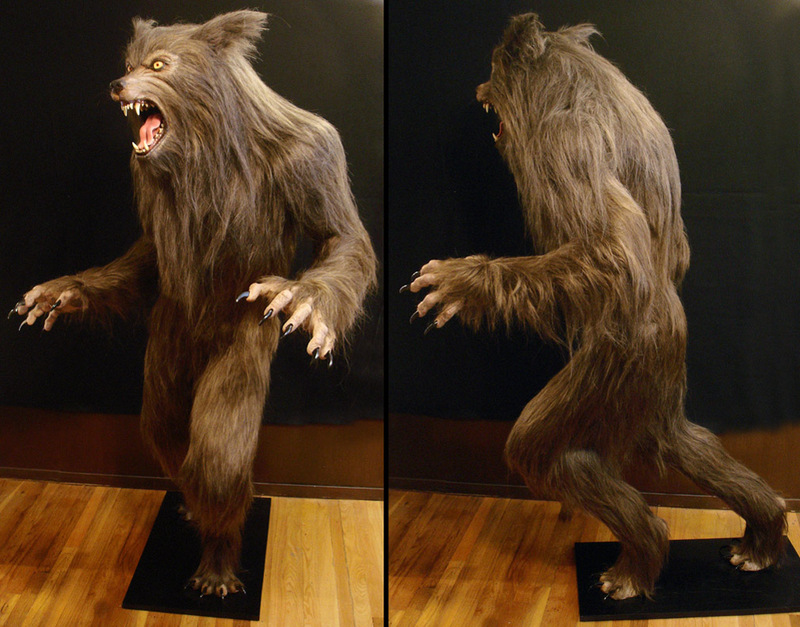 We’re big fans of werewolves around here, and would love to create a custom beast for you! 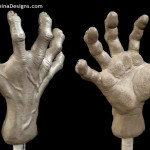 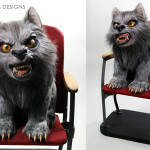 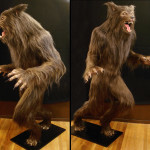 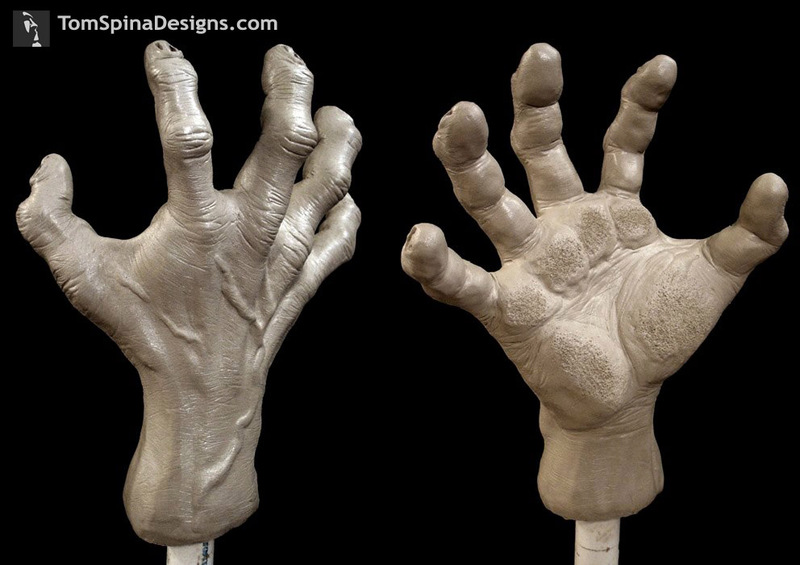 Are you looking for your own werewolf statue for your home or office? 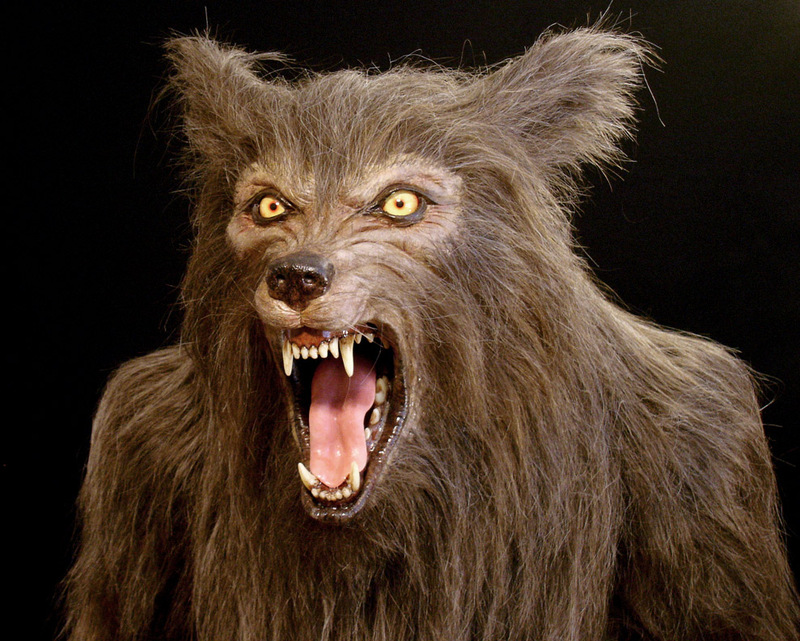 Been a while since you watched this groundbreaking werewolf flick? 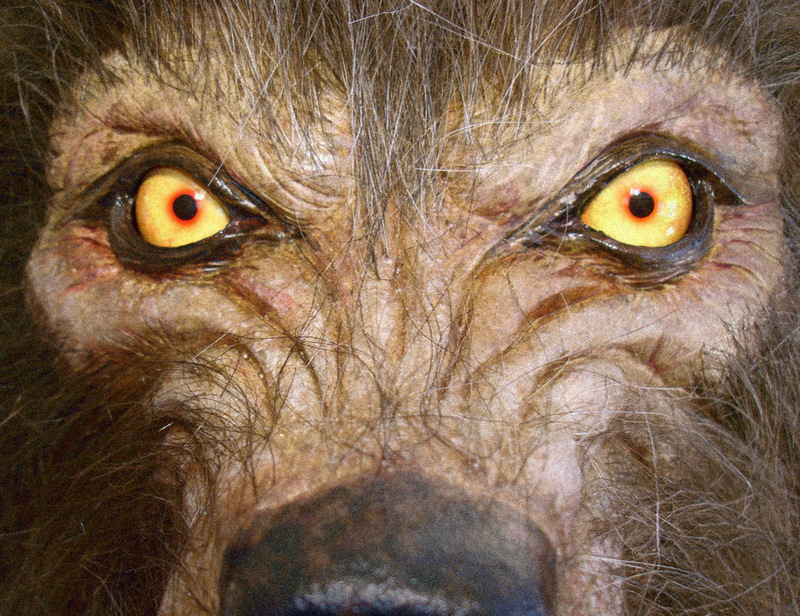 Why not download and watch the movie right now? 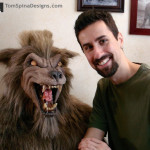 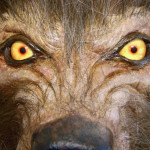 Check out this video about our life sized werewolf statues!